A$AP Ferg has unveiled his latest collection with L.A. brand AGOLDE. The unisex denim collection was shot in Harlem, with the rapper using his friends as models. Following on the release of January’s “Jugo” line, Pat Peltier’s Boston-based Bandulu label is once again linking up with Bodega to launch its new collection. Leading model Liu Wen lands the May 2017 cover of Vogue China. Photographed by Terry Richardson, the homegrown beauty wears a Gucci lace trimmed jacket with a matching skirt. In the accompanying spread, Liu strikes pose after pose in looks from the spring collections. 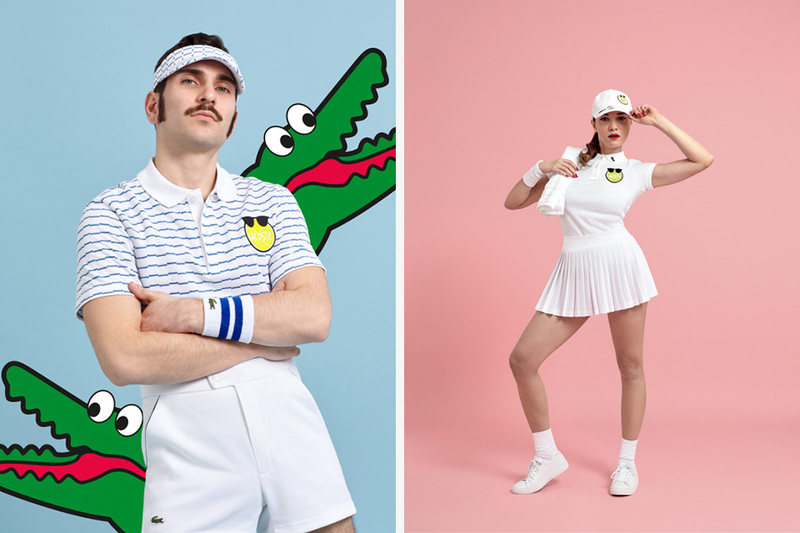 Lacoste and Yazbukey team up for a tennis-themed capsule collection, combining the French brand’s iconic crocodile with Yazbukey’s fun emojis. Vogue Turkey March 2017 Stella Maxwell by Miguel Reveriego - Photography: Miguel Reveriego, Styled by: Konca Aykan, Hair: Tomi Kono, Makeup: Seong Hee Park, Manicure: Naomi Yasuda, Model: Stella Maxwell. Supple leather backpack imbued with a flower motif, and a pair of low-top slip-on sneakers featuring the same flower designs prevalent throughout the collection. American menswear label Freemans Sporting Club has just revealed its SS17 collection and lookbook, marking another thematic notch in its legacy. Polish brand UEG is back with a solid offering of revival sportswear and reworked military classics for FW17, following a fire collaboration with Puma. Alas, one of the biggest hallmarks of prissy popular suburbanites from the early 2000s is back on the map.